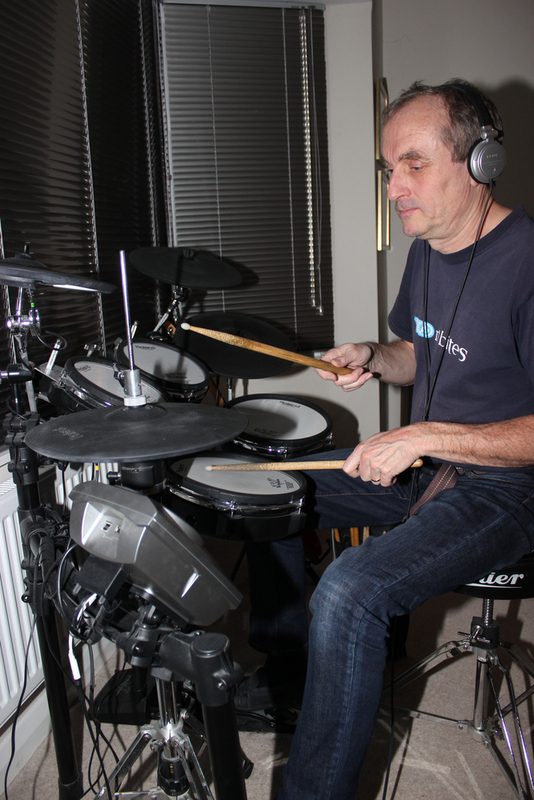 Have played drums on and off for 35 years, but not been in a band for a few years ! Was in about 6 bands over the space of 15 years, doing local gigs and a few up in London, from bands doing only covers to bands doing mainly originals with a few covers thrown in for good measure! Had a decent sized PA and a van for a few years.........lived the dream, shame it didn't become any more than that! 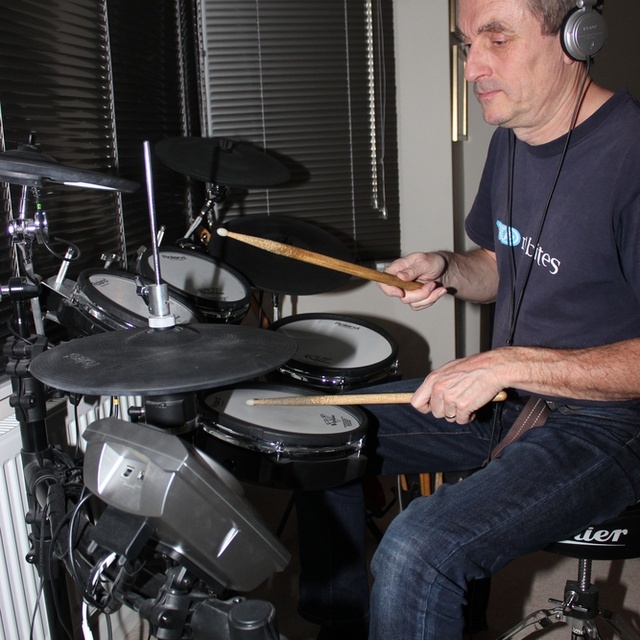 Mainly progressive rock such as Porcupine Tree, It Bites, Muse, Yes, Rush, etc, but my skills aren't quite up to the standards of Gavin Harrison or Neil Peart. I've been practising more lately and teaching my eldest son to play. Recently upgraded my Roland kit so thinking of finding a band again. I'd like to find a group of musicians of a similar age and experience who would like to rehearse some songs and do a few gigs, but nothing too high pressure. A gig every 2 weeks max perhaps? 7-drum Pearl black acoustic kit which has done plenty of gigs. Roland TD-15KV electronic kit with V Expressions Ltd expansion modules, with some very good sounding kits on it - all studio recorded acoustic drums.